Like Aswad, Jimmy Cliff has introduced huge numbers of people on both sides of the Atlantic to the sound of reggae with his pop crossover hits. He also found fame as a film actor and one of his movies produced the single most important album in the history of reggae. 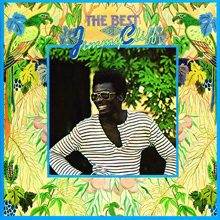 Both records are on The Best of Jimmy Cliff, along with a host of other big selling records. Jimmy was born James Chambers in St James, Jamaica in 1948 and recorded for the first time in 1962 when he was just fourteen years old. Besides being a prolific recording artist Cliff also wrote much of his material and his song, 'You Can Get It If You Really Want', was a massive hit for Desmond Dekker. Cliff's status as one of reggae's greats has never been in dispute by those that love the music, yet his achievements as a recording artist have been somewhat overshadowed by his film appearances. In 1972 he starred as Ivanhoe Martin in the classic film about reggae, The Harder They Come. The soundtrack album that included 'Too Many Rivers To Cross' did much to advance the cause of reggae in America, and besides Jimmy Cliff it features Toots and the Maytals and Desmond Dekker. His recording of Johnny Nash's song, 'I Can See Clearly Now' from the film Cool Runnings was a big hit in both America and Europe in 1994. Born in St. Catherine, Jamaica on April 1, 1948, with the less prosaic name James Chambers. His talent was evident from childhood, and he began his career appearing at local shows and parish fairs. Feeling ready for the big time at the age of 14, he moved to Kingston and took the surname Cliff to express the heights he intended on reaching. Cliff recorded two unsuccessful singles before he was spotted by Derrick Morgan, who brought him to Leslie Kong. His first single for the budding producer, 'Hurricane Hattie', was an instant hit. Unusually Cliff remained with Kong until the producer's death; most Jamaican artists flit from studio to studio. The singer's loyalty was rewarded, however by a string of follow-up hits. In the early years, the pair helped set the ska scene alight, both in Jamaica and in Britain, where the singer's singles were picked up by Island Records. 'Miss Jamaica', 'King of Kings', 'One Eyed Jacks', and 'Pride and Passion' have since become classics of the original ska era. By 1964, Cliff's was selected as one of Jamaica's representatives at the World's Fair. A successful residency in Paris followed, and Island Record's Chris Blackwell convinced the singer to relocate to Britain. The label itself was in the process of shifting away from Jamaican music and into progressive rock, and thus Cliff began composing songs with an eye to cross over into that market. It was a risky, but ultimately a successful plan: in 1968, Cliff released his debut album, the excellent Hard Road, and won the International Song Festival with 'Waterfall', a song that became a smash hit in Brazil. He swiftly moved to that country to take advantage of his success, but even greater heights were in the offing. The following year, Wonderful World, Beautiful People proved to be his international breakthrough. The single soared to number six on the British charts, and charmed its way into the Top 25 in the States. The song's anti-war follow-up, 'Vietnam', proved to be less popular, even if Bob Dylan called it the best protest song he'd ever heard. Regardless, Cliff's new album, 1969's Wonderful World, was critically acclaimed, and saw the singer starting to build a following amongst the AOR crowd. The title track, a cover of Cat Stevens' 'Wild World', was another smash in 1970, and Desmond Dekker took Cliff's own 'You Can Get It if You Really Want' to No.2 in Britain. And then tragedy struck. Leslie Kong, who had continued to oversee Cliff's career during this entire period, died unexpectedly of a heart attack in August 1971. The singer was at a loss, as he'd grown up under the producer's wing and was abruptly forced to fend for himself. Another Cycle, which arrived later that year, was proof that Cliff was beginning to get his career back on track. One of the last projects Kong had undertaken was overseeing the soundtrack to the movie The Harder They Come. Produced and written by Perry Henzell, this powerful film featured Cliff in the leading role, and upon its release swiftly became an underground classic. The soundtrack, which boasted a clutch of Cliff's own compositions, was an equally seminal record. This should have pushed the singer into the mainstream, but Island dropped the ball and turned their attention to Bob Marley instead. The timing was also off in the U.S., where the movie didn't see release until 1975. Cliff left Island's roster and signed to Reprise in the U.S. and EMI in the U.K., but fared no better on either label. 1973's Unlimited, 1974's Struggling Man, and the following year's Brave Warrior were unable to sustain the success of Another Cycle, never mind improve upon it. During this time, Cliff converted to Islam and traveled to Africa in search of his roots, and his newfound religious devotion began to heavily influence his music. In 1975, with the release of The Harder They Come in the U.S., Cliff's second album for the year, Follow My Mind, immediately grabbed America's attention and became his first album to reach into the bottom of the chart. Reprise then decided it was time for a greatest-hits collection, although this would be accomplished via a live album. The Rolling Stones' producer Andrew Loog Oldham was brought in to oversee the project, and Cliff was sent out on the road to tour and record. What the label received was one of Cliff's most ferocious albums to date, Live: In Concert. The singer was not ready to wallow in nostalgia, and throughout the rest of the decade he continued releasing albums that were thoroughly modern in sound and fierce in delivery. Cliff ended his relationship with Reprise in the new decade with 1981's Give The People What They Want and moved to Columbia. He formed a new backing band, Oneness, and embarked on a tour of the U.S. with Peter Tosh; there was also a fabulous performance at Reggae Sunsplash that year. 1983's The Power and the Glory inaugurated his partnership with Kool & the Gang, and the album was nominated for a Grammy. Its follow-up, Cliff Hanger, would win the award in 1985. However, 1989's Hanging Fire became his last effort for Columbia, although the singer continued to release material in both Jamaica and the U.K. During this period, Cliff also co-starred in the movie Club Paradise. He returned to the American charts in 1993 with his cover of 'I Can See Clearly Now', from the soundtrack for Cool Runnings, which glided into the Top 20. More singles and albums followed, and the singer remained a potent musical force. A comeback album of sorts, Black Magic, which featured duets with high profile stars like Sting, Joe Strummer, Wyclef Jean and others, appeared from Artemis Records in 2004. In 2012 he partnered with Rancid frontman Tim Armstrong for Rebirth, a nostalgic return to form. In 1973, when the movie The Harder They Come was released, reggae was not on the radar screen of American pop culture. The soundtrack went a ways toward changing that situation. It is a collection of consistently excellent early reggae songs by artists who went on to thrive with reggae's increased popularity, and others for whom this is the most well-known vehicle. 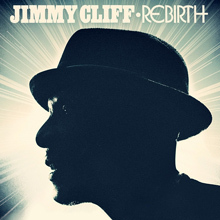 Jimmy Cliff is both the star of the movie and the headliner on the soundtrack. He contributes three excellent songs: the hymnal "Many Rivers to Cross," "You Can Get It If You Really Want," and "The Harder They Come" (the latter two are repeated at the end of the album, but you probably wanted to hear them again anyway). Interestingly, the better production values of his songs actually seems to detract from them when compared to the rougher, but less sanitized, mixes of the other tracks. All the songs on this collection are excellent, but some truly stand out. Toots &amp; the Maytals deliver two high-energy songs with "Sweet and Dandy" and "Pressure Drop" (covered by the Clash among others). Scotty develops a mellow, loping groove on "Stop That Train" (not the same as the Wailers' song by the same name) and the Slickers prove on "Johnny Too Bad" that you don't have to spout profanity or graphic violence to convey danger. The Harder They Come is strongly recommended both for the casual listener interested in getting a sense of reggae music and the more serious enthusiast. Collections don't come much better than this. 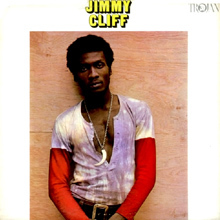 A fast follow-up to 1967's Hard Road, Jimmy Cliff's debut full-length, his self-titled album arrived in 1969. This second set would also introduce him to American audiences, with the set retitled Wonderful World, Beautiful People after the track selected as the first to be spun off on 45. The album would indeed charm the globe, its lavish arrangements, bouncy rhythms, and cheery lyrics gave Cliff his first international hit, breezing into the U.K. Top Ten and the U.S. Top 25. The powerful protest song "Viet Nam" followed "Wonderful World, Beautiful People" onto a single in the new year, and climbed even higher in the American chart than its predecessor. These two 45s vividly illustrated Cliff's thematic versatility, with the album almost evenly divided between powerful cultural numbers and more personal concerns. Of the former, beyond the poignant "Viet Nam," there was a soulful rendition of "My Ancestors," the infectious "Sufferin' in the Land," and most magnificent of all, "Many Rivers to Cross," a timeless masterpiece with which Cliff's name will forever be entwined. The song was majestic, while songs like "Time Will Tell" and "Use What I Got" were more intimate, as Cliff described his own impoverished childhood, and the strategies he used not only to survive but prosper. A reprised "Hard Road to Travel" and "That's the Way Life Goes" both address survival as well, reinforcing Cliff's universal message that no matter how tough life is, better days are possible. Cliff oversaw the album with his longtime producer Leslie Kong, creating a set that had a true island sound, but glossing the arrangements with symphonic overdubs that were so appealing to northern audiences. Kong's session band, Beverley's All Stars, were a dazzling backing band, and are notable throughout the entire album; their work as extraordinary as Cliff's own. More phenomenal recordings were to come, but this album remains one of the singer's most masterful. 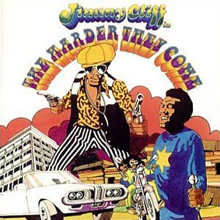 With an uncanny and catchy blend of reggae and pop, Jimmy Cliff (vocals) was able to not only successfully cross musical genres, but also become (perhaps best) known as the star of the cinematic adaptation of The Harder They Come (1973). This nine-cut anthology gathers a host of 45s and otherwise hard-to-find material. Although initially compiled in the mid-'70s, Goodbye Yesterday (2004) has remained elusive prior to being issued by Universal Music's limited-edition online boutique, Hip-O Select. The majority of the inclusions are from Cliff's collaborations with Leslie Kong, after first being roundly dismissed by both Duke Reid and Coxsone Dodd. The mid-tempo "Waiting in Line" is one of two selections originally produced by Cat Stevens, the other being the optimistic and funky "Trapped," recalling Stevens' robust arrangements circa "Matthew and Son." Equally as soulful is the single version of "Waterfall," sporting an arguably dated R&amp;B feel, complete with strings and brass accents. The congenial groove however would garner Cliff a spot representing Jamaica at the International Song Festival in Brazil. The set opens with the cheerful and practically bubblegum pop of "Goodbye Yesterday," a number that would not have sounded too far removed from the Ron Dante-led Archies. Another interesting dichotomy in styles exists between the politically informed songs "Synthetic World" and "I'm No Immigrant" when contrasting the sincerely pious "Bongo Man" or the humbling "Keep Your Eyes on the Sparrow." Although the unmistakable motif of freedom is prominent in each, the latter clocks in at over eight minutes and is presented as an extended musical sermon. 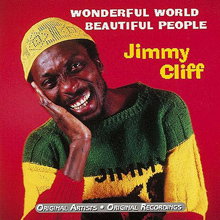 In 1968, Island Records released Jimmy Cliff's debut album, Hard Road, swiftly following it the next year with a self-titled full-length set (retitled Wonderful World, Beautiful People for U.S. release). Under any name it was a superb set, one that would further bolster Leslie Kong's reputation as the producer with the golden touch. Of all the early Jamaican label heads, it was Kong who garnered the most chart action, raising the likes of Desmond Dekker, the Maytals, and Cliff, of course, to international stardom. In the late '60s, Kong's session band, Beverley's All Stars, comprising members of Gladdy's All Stars and other local luminaries, were laying down some of the most delectable reggae to be heard on the island. Their sound, however, was buttressed with sympathetically applied symphonic overdubs, adding a further lushness to the band's own lavish style. The musicians positively glowed on this set, assisted by Cliff's own strong and infectious melodies. "Many Rivers to Cross" would later resonate across The Harder They Come movie and soundtrack, while "Wonderful World" and "Vietnam" were both destined for international chart success. Many more of the album's tracks could have joined them, and in Jamaica, they did. "Suffering in the Land," "Hard Rock to Travel," (reprised from Cliff's previous set), and "Come into My Life" would all spin successfully on 45 on the island as well. As magnificent as the music was, lyrically it was arguably even stronger, with Cliff chomping at the bit to show off his talent with the pen. Sweeping across universal themes, sufferer's songs, and romance, Cliff is the master of the school of hard knocks, imparting an optimistic message of overcoming the odds with finesse. This reissue reproduces the album in full and adds another seven numbers to further sweeten the set. 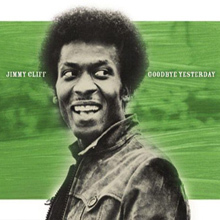 Some, including "Give a Little, Take a Little" and "My World Is Blue" were originally Jamaican singles; a pair of numbers - "Those Good, Good Old Days" and "Better Days Are Coming" - were pulled from Cliff's 1974 Struggling Man album. A clutch showcase the singer's R&amp;B side, others his more Jamaican styling. And although a few feel a bit out of place here, recorded as they were years later, fans won't mind a bit. 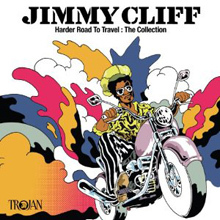 Although Jamaica's Jimmy Cliff has had a long and continuing career on the international scene with his thoughtful and infectious brand of reggae-pop, his best work was undoubtedly done in the late '60s and early '70s, the period covered by this collection. There are some great tracks here, most notably his powerful protest song "Viet Nam," the title track, "The Harder They Come," from the Harder They Come soundtrack, his stately nyahbinghi-based hymn "Bongo Man," and the first recorded version of Cat Stevens' "Wild World," actually produced by Stevens, who then went on to voice his own hit record of the song. 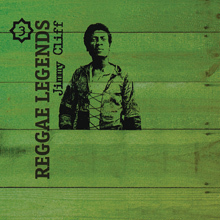 The music on this compilation collects together much of Jimmy Cliff's work with legendary producer Leslie Kong. It features many of his fabulous early songs including, "Vietnam," "Many Rivers to Cross," and "Wonderful World, Beautiful People". Jimmy Cliff paved the way for Bob Marley in the late '60s and early '70s with a string of classic early reggae tracks that blended the rough, funky production feel of Jamaica’s Kingston studios with a sharp pop sense that allowed Cliff to gain an international reputation. This two-disc set collects his earlier ska efforts (on disc one) with his breakthrough rocksteady hits (on disc two) to give a pretty measured survey of his work and appeal. The earlier disc (which covers the years 1960 to early 1969) features duets with Millie Small (“Hey Boy, Hey Girl”) and Jackie Edwards (“Set Me Free”), but it’s the second disc (covering mid-1969 through 1972) that shows Cliff at his creative peak with cuts like “Wonderful World, Beautiful People,” “Vietnam,” “Many Rivers to Cross,” “Wild World” (written and produced by Cat Stevens, who later took his own version of this song into the charts), “Sitting in Limbo,” “The Harder They Come,” and “Bongo Man,” among others. The end result is a compelling portrait of Jamaica’s first real international pop star. If the reggae legend's 2004 effort Black Magic was like Frank Sinatra or Tony Bennett's Duets albums -late-era, star-filled, and somewhat flat - Rebirth is Jimmy Cliff's American Recordings (Johnny Cash) or Praise &amp; Blame (Tom Jones), where a veteran artist goes raw and relights the fire with the help of a kindred spirit/knowing producer. For Cash and Jones, it was Rick Rubin and Ethan Johns respectively, while here it’s a bit of a surprise with Rancid frontman and Clash devotee Tim Armstrong delivering something well above the expected punky reggae party. "Guns of Brixton" is a natural, and Cliff's take on Rancid's "Ruby Soho" is a ska recreation to behold, but when the sometimes poptacular reggae singer dons a wild, Lee "Scratch" Perry persona for the carnival song "Bang" ("I came into this life, I came in with a bang/I'm living my life, I live it with a bang"), deep reggae fan Armstrong knows what to do, surrounding his man Upsetter-style with a whirling dervish of ska while adding a searing guitar solo as well. When the singer gets nostalgic on "Reggae Music" ("1962, Orange Street, Kingston Jamaica/I sang my song for Leslie Kong, he said…") the backing track is alive with that roots based magic and one drop power, yet Cliff's the one who seals the deal here and throughout the album, performing like a young buck while packing his years and wisdom into the songwriting. On that front, there's the Occupy Movement theme "World Upside Down" and the powerful single "One More", while the sweetness comes from the sentimental "Ship Is Sailing", a nautical metaphor so warm it could be slipped into a Jimmy Buffett set easily, even as the tinkling keyboards honor reggae legend Jackie Mittoo, thus nominating Armstrong's loving recreation as one of the most loved. It's a return to form and just what fans of Cliff's early work could ask for, but it's vital too, putting it on the man's top shelf, somewhere in the vicinity of The Harder They Come soundtrack and Wonderful World, Beautiful People.